Norwich Terriers have good health overall, but there are a couple of minor and serious health complications that could hinder their quality of life. For example, patellar luxation is a condition that occurs in smaller dogs most often. This condition is a birth defect that occurs when the kneecap dislocates from a groove in the femur (thigh) bone. It might be somewhat painful, but more of a nuisance. Symptoms would include obvious dislocation and an awkward gait, but long-term exposure could cause nerve damage, permanent cartilage deterioration, and severe arthritis. Surgical intervention is a common treatment to permanently correct this condition. This condition is often a symptom of underlying conditions. Skin allergies are an allergic reaction to various irritants, such as dust, mites, fleas, and grass. But it can also be a sign of food allergies, such as wheat and certain meats. Symptoms are obvious, inclusive of itchiness, redness, hair loss, and extreme skin irritation. There might also be a recurring ear infection in one or both ears. Treatment might include vet-prescribed antibiotics to fight infection, medicated shampoo to heal the skin, and a possible change in kibble. Other health concerns that you, as a pet owner, might have for your Norwich Terrier includes epileptic seizures, hip and elbow dysplasia, deafness, and cataracts. The average lifespan for a Norwich Terrier is between 13 to 15 years. Norwich Terriers are interesting little characters because sometimes their mannerisms match up with their owners. Then again, most of these pups are playful, happy, and friendly in their puppy years. But they might develop a bit of a nipping problem and grumpy attitude as they age, especially if health issues hinder them. Socialization of your Norwich Terrier is super-important in all aspects of his life, from behavioral, to exercise, and training-wise. These pups need plenty of time to run around and play with kids and other dogs, especially if you plan on having him around children and other pets on a regular basis. Teaching him to be tolerant and accepting of others at a young age is the surefire method to maintaining his tolerance and acceptance through the rest of his life. Dog parks, fenced-in backyard, and daily walks are great forms of exercise for your Norwich Terrier. But you should also invest in several chew and swing-around toys to keep him occupied on rainy, boring days. Training-wise, these pups are mostly obedient, but they do have stubborn streaks that could get them in a bit of trouble. Be patient, determined, and consistent to garner the best results during training sessions. 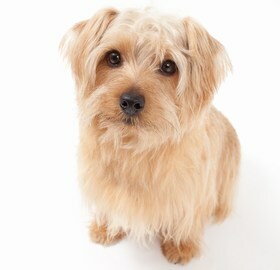 Norwich Terriers have a shaggy, dense coat that is both water-resistant and protective against extreme weather. It is fairly simple to maintain with a daily brushing to unkink any knots and snag excess hair. During shedding season (the summertime), these pups shed quite a bit, so keep your trusty brush handy two times a day. Run your brush through his coat once in the morning and once in the evening to keep shedding at a minimum. Bathing your Norwich Terrier might pose a challenge, as these pups are prone to rambunctious bouts. You could use a dry shampoo to remove odors and semi-clean his fur every week, but give him a full-fledged bath once every two months or so. Unless he gets super smelly or dirty, then take him to a professional groomer for the full spa treatment, pup style. Norwich Terriers have robust appetites, but they tend to overeat when food is left lying around. Ditch the automatic feeder, and design a feeding schedule for your little guy instead. Feed him twice per day with ½ to ¾ cup dry, high-quality kibble per meal. This amount of food will keep him satisfied and feeling full and energetic throughout his day. The type of kibble you feed your Norwich Terrier matters more than you might think. These pups are little balls of energy, and they need plenty of nutrients to fuel their playful ways. Make sure the type of dog food you buy lists whole grains, lean meats, and veggies as the top three ingredients on the label. Avoid by-products and fillers as much as possible. Looking for a Norwich Terrier? There have been many controversies surrounding the sales of Norwich Terriers, as several untrustworthy breeders will charge naïve pet owners upwards of $2,500 to $3,000 for a mixed-breed pup, or a Cairn Terrier with docked tail and ears in place of a Norwich Terrier. 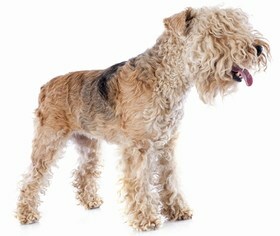 It is important to do your research about the breed itself, as well as the reputation of a prospective breeder. Reputable, reliable breeders price their Norwich Terriers to reflect the purebred demand. 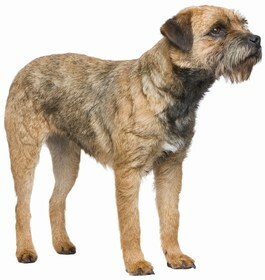 For example, the costs vary with the popularity of a breed. 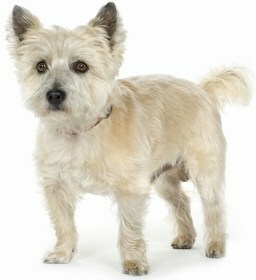 Norwich Terriers are usually in the ballpark of $500 to $1,200. These pups are a rare breed, so you should expect higher prices, but do your research, so you don’t get fooled by unreliable breeders. Ask for AKC registration, bloodline documentation, and health checks for both the pup and parents. Reliable breeders will honestly, happily, quickly divulge the information you ask for. It is rare to find a Norwich Terrier at a local animal shelter, but you should check—just in case. These adoptable pups might be crossbreeds with Norwich qualities, so you may fall in love with a whole new breed. Keep an open mind since purebred Norwich Terriers are quite an expense. Adoption fees for pups in most shelters are between $75 to $250. But throw in vaccination updates and health checks and you will be spending upwards of $500 towards adoption fees. The good thing about adoptions through an animal shelter is your fee goes towards helping the other animals at the shelter. You could be feeding and making comfortable a slew of other abandoned pups by simply picking out your perfect new companion. Ranking takes into account a few basic factors including cost, skill level needed, high vs low maintenance and how critical regular training is to success. 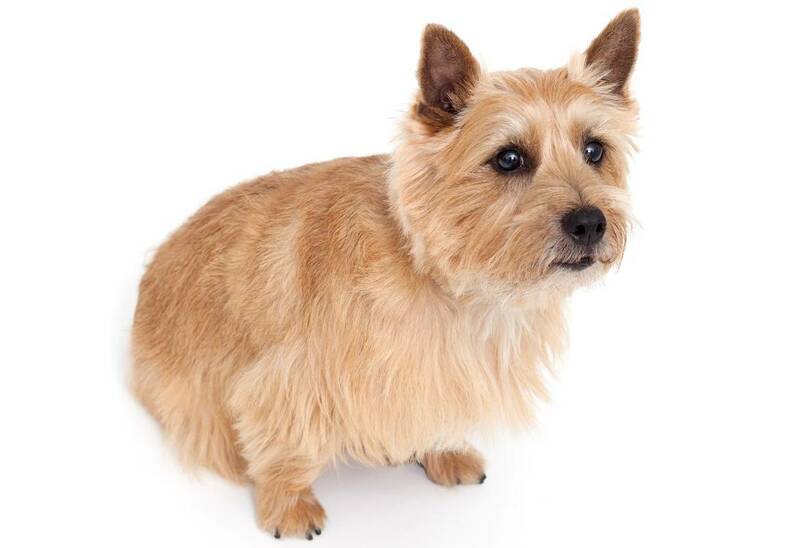 The Norwich Terrier, a lively, playful pup, scores a 1.5 on the integration scale. In the puppy phase, it is important to socialize these purebreds with children and other dogs (of all sizes). Build acceptance and tolerance with positive, good experiences, and your pup will carry that goodness through their whole life. This makes it easier to manage the behavior of your Norwich Terrier when he gets into the old, ornery, and sometimes nippy phase of his life.